“All things were made by him: and without him was made nothing that was made. In him was life, and the life was the light of men. And the light shineth in darkness, and the darkness did not comprehend it.” (Jn 1:3-5) and he makes it clear that this Logos is the historic Jesus Christ by saying that the Logos was made flesh, and then going on to describe His life, death and resurrection. In the approach to the Sacred Triduum, I was glad to come across this article by this article by Fr Ed Broom: Ten Ways to Meditate on Christ’s Passion because it struck me as very helpful for people who have a sincere desire to follow Christ more devoutly but are unsure about "methods of prayer" or whether some special esoteric technique might be required to be a more devoted follower of Christ. Father Broom lists ten simple practices which will probably already be familiar to most good Catholics, and gives some simple and practical advice on how to use them to good effect. And it is a propaganda campaign. 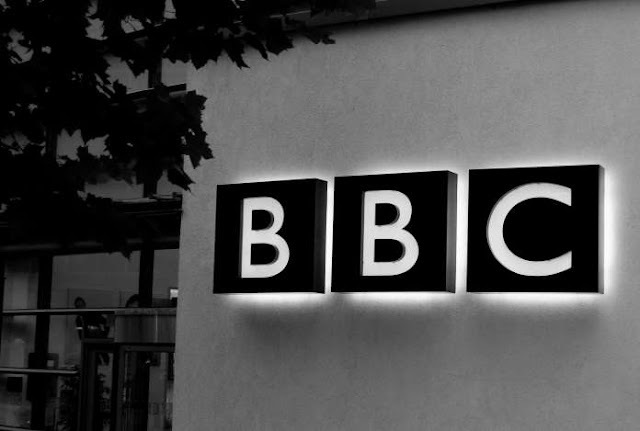 The BBC is not some johnny-come-lately internet upstart, it is an organisation with decades of experience in exactly how to form public opinion. Good honest people rely on the BBC to give balanced coverage of such a sensitive issue. The bias with which it covers such an important issue as assisted suicide is all the more pernicious when the organisation is so trusted. I am very happy to pass on the details of the forthcoming conference of the Catholic Medical Association on 4 May at Hull University Catholic Chaplaincy. Here is a link to download a pdf of a poster for the Conference. It is important to note that all are welcome, especially all healthcare workers (including doctors, nurses, social workers, OTs, physios, pharmacists), and students of all healthcare professions who have an interest in a Catholic view of healthcare today. The Annual Conference of the Catholic Medical Association will be held at Hull University Catholic Chaplaincy. The late Michael Davies was a good friend of my father; they taught in primary schools in the same area and shared a passionate love of the faith. They were dismayed when the "new catechetics" threatened to dismantle the teaching of the faith to children by getting rid of angels, original sin, the real presence and, ultimately, the divinity of Jesus Christ. I have fond memories of conversations in our kitchen during the late sixties and early seventies, peppered with Michael's brilliant sense of humour. 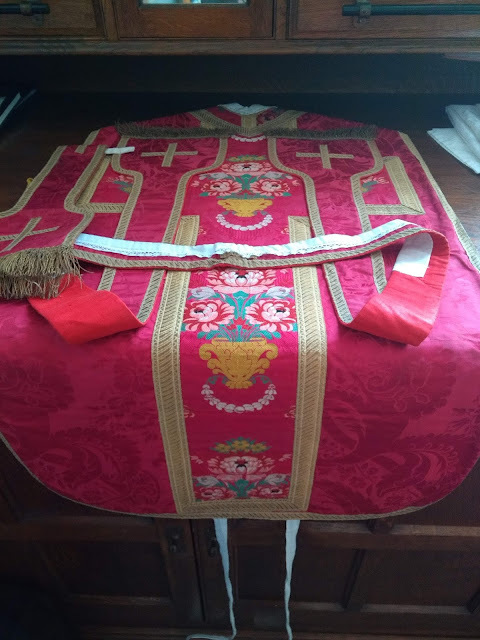 Catechetics and Liturgy go together, of course, and Michael wrote extensively on the new rite of Mass that was promulgated 50 years ago this week. 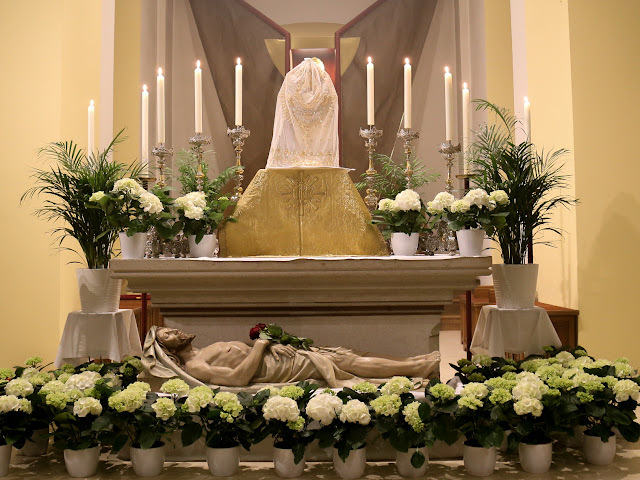 Fr Hugh Somerville-Knapman has a good piece in the Catholic Herald: The strange birth of the Novus Ordo which helpfully details some of the more notorious aspects of the formation of the rite of Mass which most Catholics experience as a matter of routine. 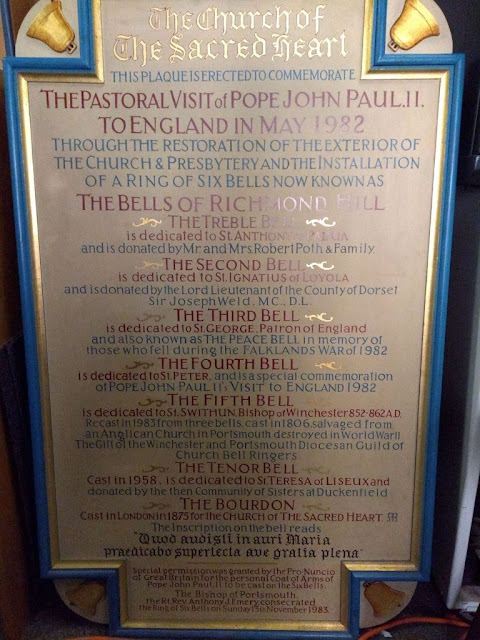 The Sacred Heart Church in Bournemouth is fortunate in having a ring of six bells. The installation was competed for the visit of St John Paul II to England in 1982 and was consecrated in 1983 by Bishop Emery. Above is the plaque erected to commemorate the occasion. Clearing the confusion over the word "temptation"
The English word “temptation” can give rise to two areas of confused interpretation. When we speak of the temptations of Jesus, are we saying that He had the same lustful and disordered feelings that we have to fight against? 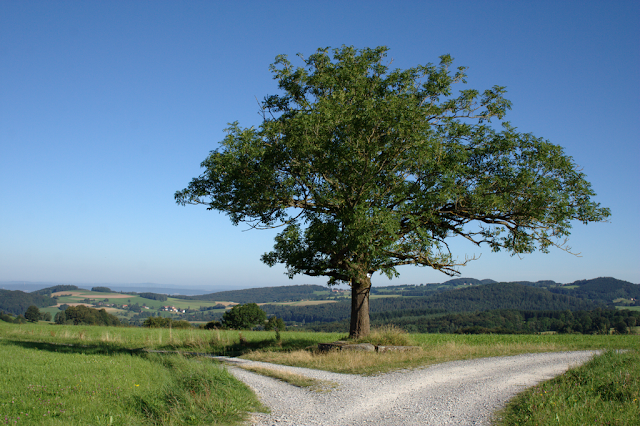 And in the Our Father, do we really need to ask God not to entice us to sin? The problem is that the English word “temptation” used to have a wider range of meaning. Its normal use nowadays refers solely to the internal experience of being allured to an evil by the perceived pleasure that it might give. We are familiar with the graphic illustration of this in the account of the fall in Genesis; Eve sees that the tree with the forbidden fruit is “good to eat, and fair to the eyes, and delightful to behold.” Being thus tempted, she eats it. Fr Daniel Utrecht, a priest of the Toronto Oratory, has put together an inspiring account of the great bishop of Münster, Count Clemens August von Galen, who courageously spoke out against National Socialist pagan ideology during the second world war. The Nazis knew that his influence with the people was great, and they planned to execute him after they had won the war. After the war, Von Galen also stood up to the allied authorities, and campaigned for reasonable treatment for the Germans. Fr Utrecht conveys the emotion of the return of the Bishop after having been created Cardinal by Pope Pius XII, and his death just six days later. My learned friend, Fr Hunwicke, has written a fair-minded post exculpating our Holy Father from the charge of being the worst pope ever. In this I entirely agree; there have indeed been worse popes, especially in the saeculum obscurum. I must confess to twitching a little, however, when he ranks Pope Paul IV alongside the notorious rogues of that era. 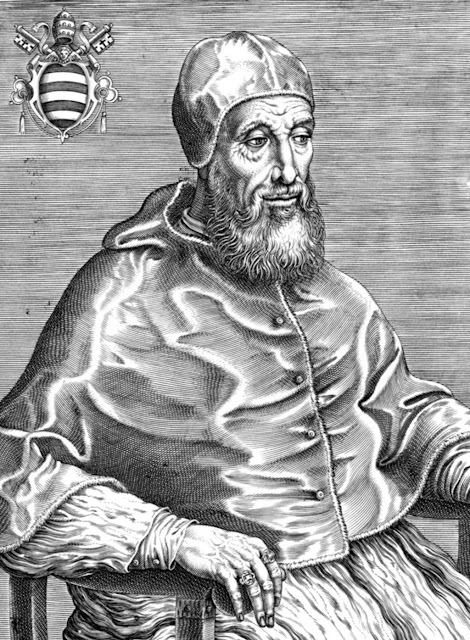 The charges against Pope Paul IV are that he had a ferocious character and that he had such malevolent hostility towards the English Catholic Church during the reign of Queen Mary that he made it easier for Elizabeth I reintroduce the so-called reformation to England. Recently, the bishops of Kazakhstan and Central Asia made their visit to Rome ad limina apostolorum. This is a journey which bishops normally make every five years, to visit the tombs of the apostles St Peter and St Paul, and to give a report to the pope on the state of their dioceses. It is an opportunity for the bishops to acknowledge the universal ordinary jurisdiction of the pope, to receive his counsel, and to manifest their own concerns to him. I am going to try to tweet a bit more for Lent. — Fr Timothy Finigan (@FatherTF) March 5, 2019 Knowing that such brief statements can be radically misunderstood, I thought it would be worth expanding it a little in a medium that does not have a character limit. Quite a few good Catholics let others know that they are going to give up Twitter for Lent. 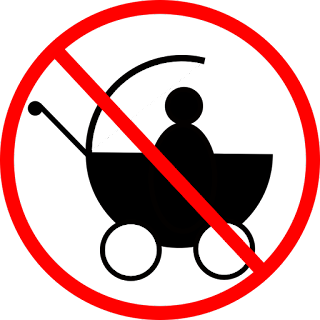 My opposite statement of intention, though intended to raise a smile among those who feel guilty at continuing to tweet, was certainly not intended as a criticism of the worthy resolution of abstainers. I am quite sincere in this disclaimer and it forms part of my motivation for posting here. Fatima tells us that history can change, must change, that history is the result of the freedom of people over which rules God’s Providence, with a look of love imbued with justice and mercy.His book goes on to examine the message of Fatima with particular focus on the offering up of penance in atonement for our sins and for those of the world in accordance with Our Lady's wishes. A sometimes challenging book that rewards perseverance. 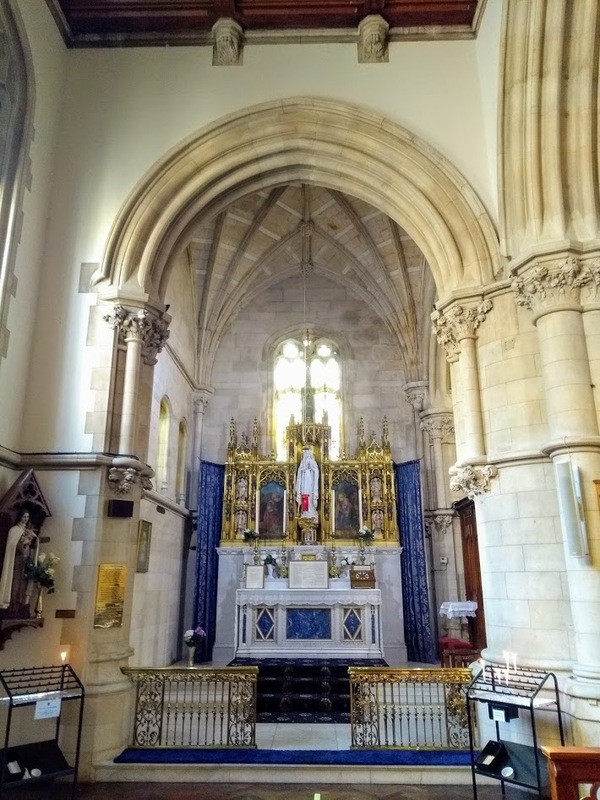 When posting on Twitter about celebrating Mass at the Lady altar at Bournemouth (above) I was taken to task for using the expression "celebrate Mass" instead of a better choice such as "offering the Holy Sacrifice." 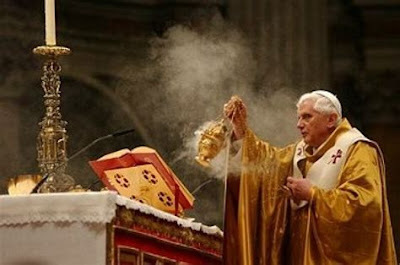 The expression "celebrate Mass" is very Novus Ordo language apparently. It is easy to defend oneself against such a criticism. Celebrare was used in the third century throughout his writings by St Cyprian, one of the first ecclesiastical writers to use Latin; the traditional prayer of intention for the priest before Mass begins "Ego volo celebrare Missam ..."
A kind reader notified me very politely of an inappropriate ad that had been served up when he was visiting this blog. I am very sorry that this has happened and apologise to any other readers who have been presented with any inappropriate ads. I have now cancelled the service that I was using. I will see if there is a suitable trustworthy Catholic service to use instead. The intervention of CNN's Delia Gallagher at the Vatican Press Conference last Friday has been circulated widely on social media. There were other good, challenging questions asked during the summit, notably by Sandro Magister, Philip Pullella, Inés San Martín, and Diane Montagna, but Gallagher's seemed to me the most devastating (at 2'10" in the above video). She recalled the meeting of US Cardinals in Rome in 2002 concerning child abuse and pointed out that the reassuring face of the crisis at that time, promising that there would be zero tolerance and an end to cover-up, was Cardinal Theodore McCarrick, whom we now know to have been an abuser himself, and who has recently been dismissed from the clerical state as a result. Gallagher asked Cardinals Cupich and O'Malley how the Cardinals were now holding each other accountable and how they would assure the American people that what happened then is now going to change. The story of the Carmelites of Compiègne is one which threatens the stiffest upper lip and I was glad to find this well-informed study by William Bush whose research led him to revise his favourable view of the French Revolution. 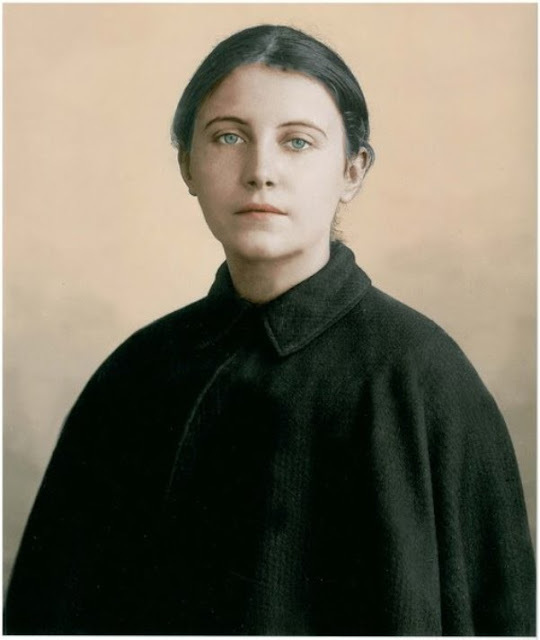 He stresses the unreliability of the fictional accounts of the martyrs in Gertrud von Le Fort's Song at the Scaffold and Francis Poulenc's Dialogues of the Carmelites, aiming to give the reader a historical account of the sacrifice offered by the holy sisters.